IoT technology brings new cyber-risks. With manufacturers gradually implementing the IoT into production processes, they're also increasing the chance their connected systems could be vulnerable to cybercriminals and hackers. 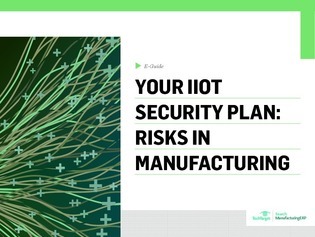 In this e-guide learn how to get smart about industrial IoT security risks in manufacturing, as well as how to plan out an industrial IoT plan to create a smooth-running, smart factory.